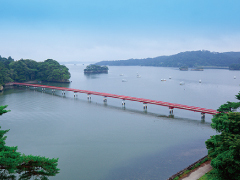 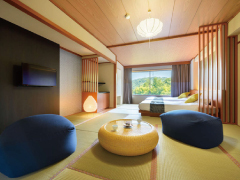 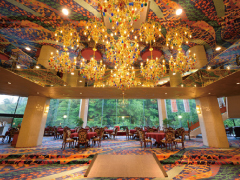 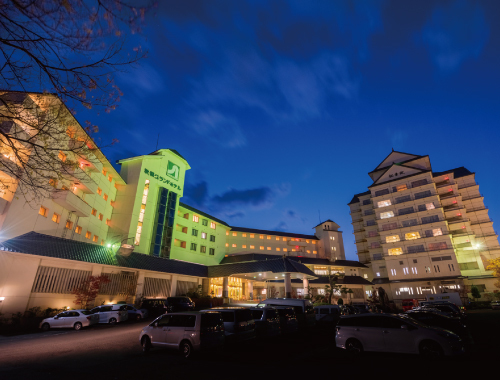 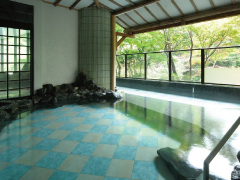 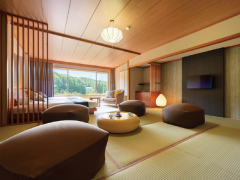 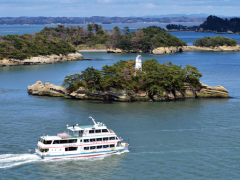 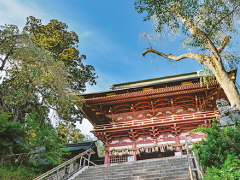 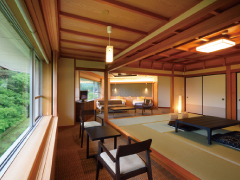 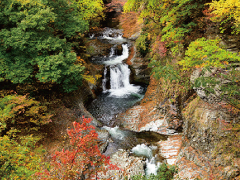 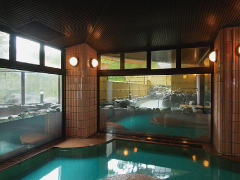 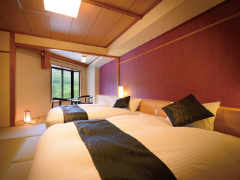 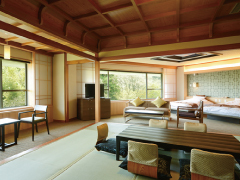 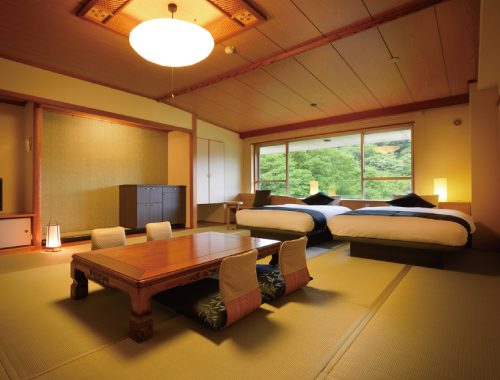 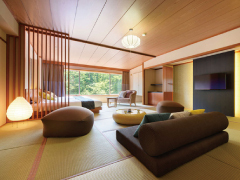 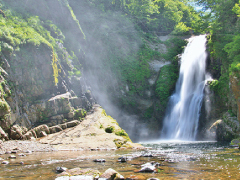 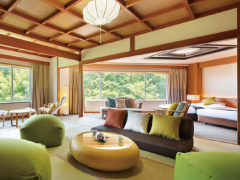 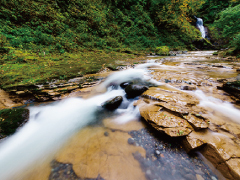 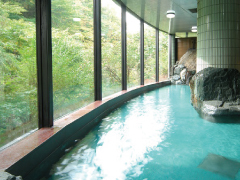 Akiu Grand Hotel is a hotel where you can enjoy the four seasons of Rairaikyo gorge. 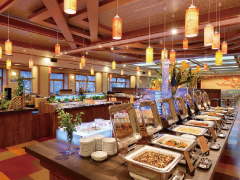 We serve buffet-style dinner that includes charcoal-grilled Gyutan (beef tongue) and snow crabs. 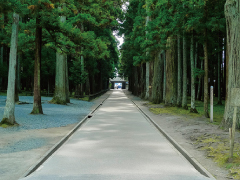 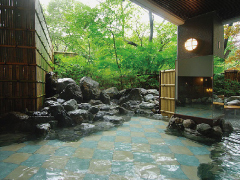 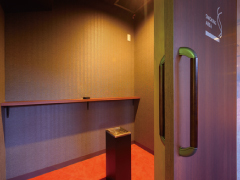 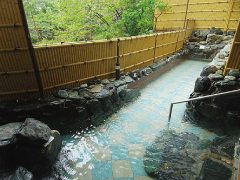 We also have four types of open-air baths and large baths from where you can enjoy the beautiful landscape outside, and hold seasonal events, such as the House of Ninja. 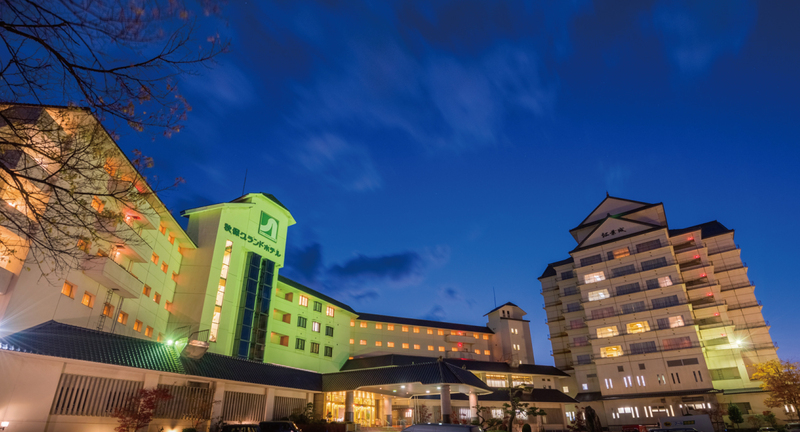 We hope you enjoy your stay at Akiu Grand Hotel. 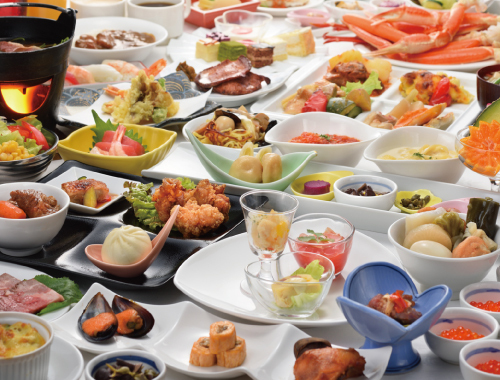 Enjoy what you like as much as you want, as long as you want. 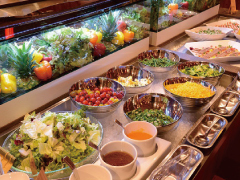 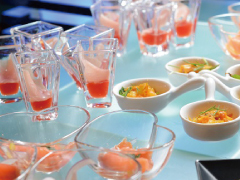 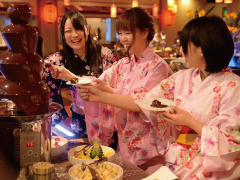 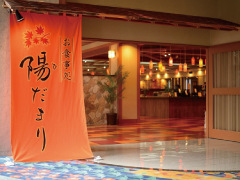 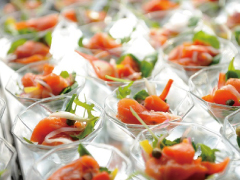 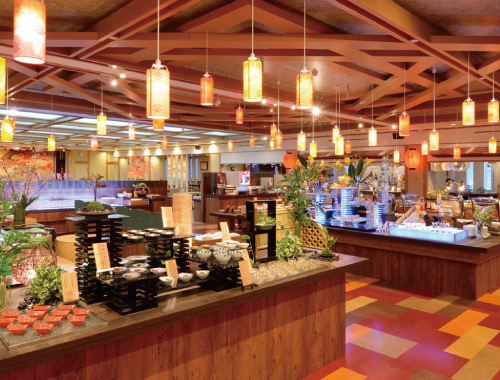 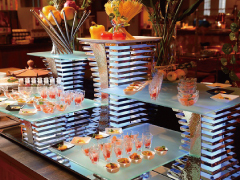 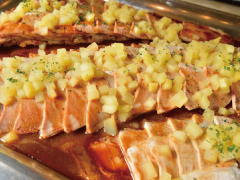 Please enjoy our buffet-style dinner cooked with seasonal ingredients at “Restaurant Hidamari”. 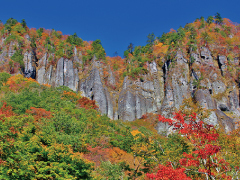 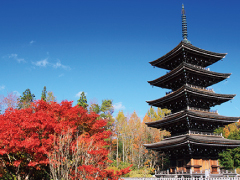 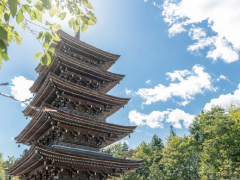 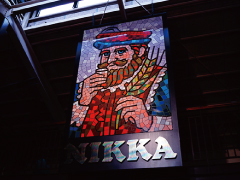 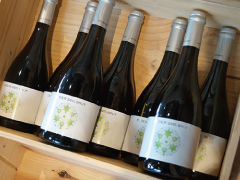 “Hidamari” is designed to portray the autumn leaves of Akiu and an energetic castle town. 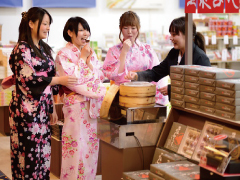 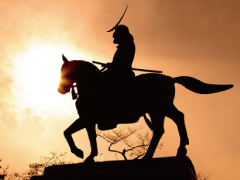 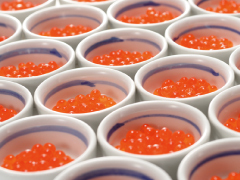 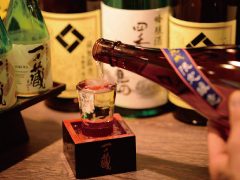 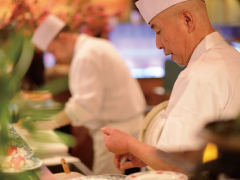 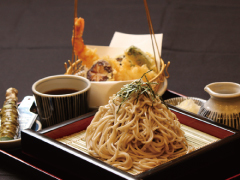 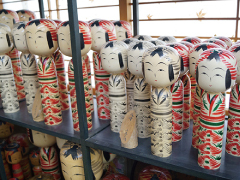 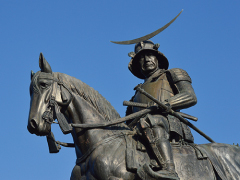 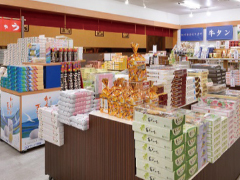 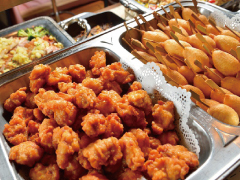 We serve a variety of Japanese style dishes as well as Sendai specialties and locally grown rice. 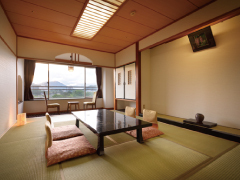 Aside from our breakfast enjoyable also for people who love rice, we can serve Kaiseki style meal set (dinner). 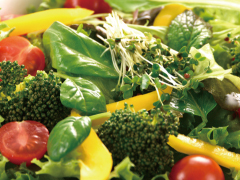 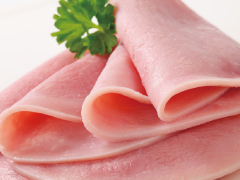 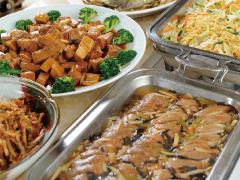 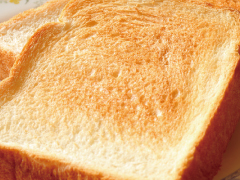 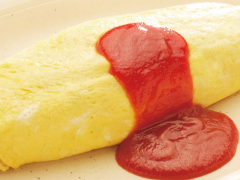 Please enjoy our thoughtfully cooked cuisines. 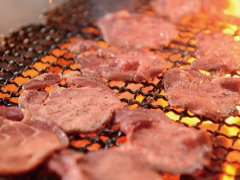 Fresh Sushi and charcoal-grilled Gyutan cooked and served on the spot. 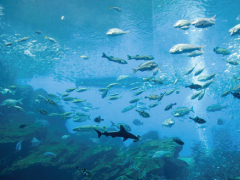 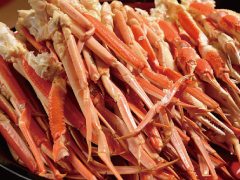 All-you-can-eat snow crabs are very popular as well. 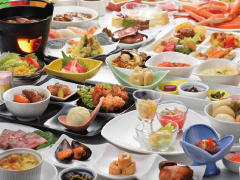 *We have a Japanese style Kaiseki meal set available as well. 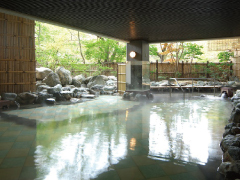 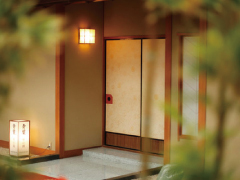 We have four types of baths at Akiu Grand Hotel; “Date-no-Yu”, “Miharu-no-Yu”, “Bonten-no-Yu”, “Megohime-no-Yu”, all of which come with a beautiful view. 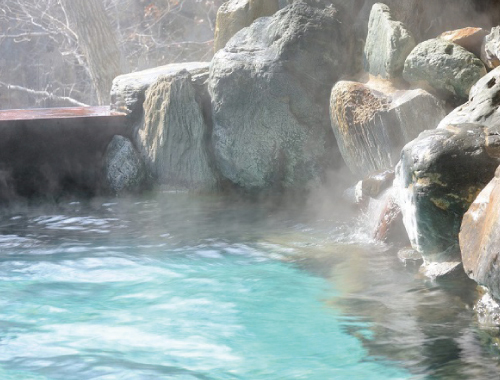 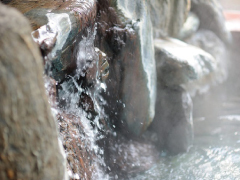 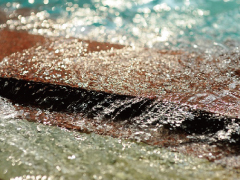 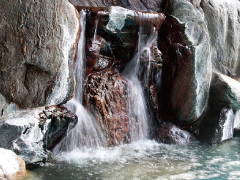 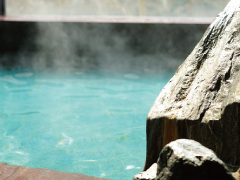 The quality and temperature of the hot spring are very high as it is alkaline hot spring that heals all sorts of diseases. 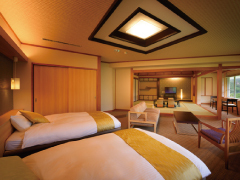 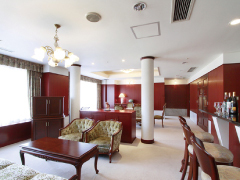 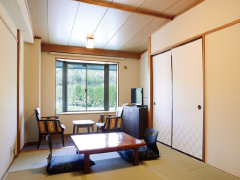 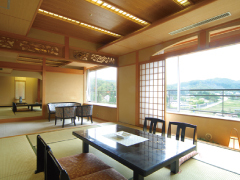 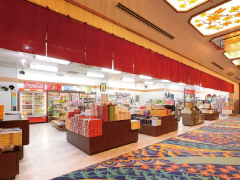 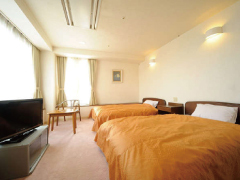 We have a wide variety of rooms at Akiu Grand Hotel, such as “Special Japanese/Western Style Room, “15-mat Japanese/Western Style Room”, “12-mat Japanese/Western Style Room”, “10-mat Japanese/Western Style Room”, Japanese style room, Western style room, VIP room, and royal special room in our main building. 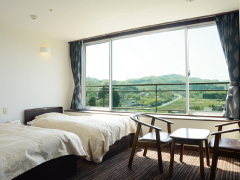 From rooms in our main building, you can have an amazing view of “Rairaikyo (gorge)”, and forget about the concept of time while enjoying the sound of the river flowing. 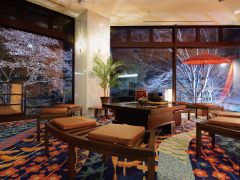 We hope your stay at Akiu Grand Hotel decorates up your trip and you enjoy the beautiful surrounding nature in a relaxing atmosphere. 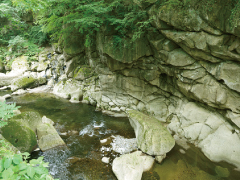 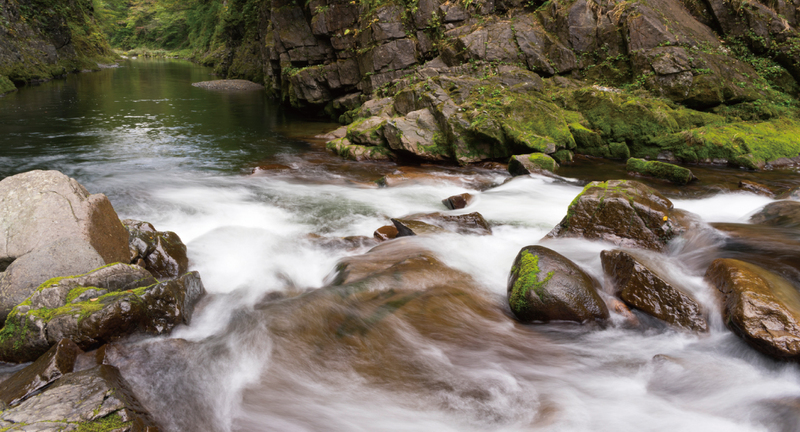 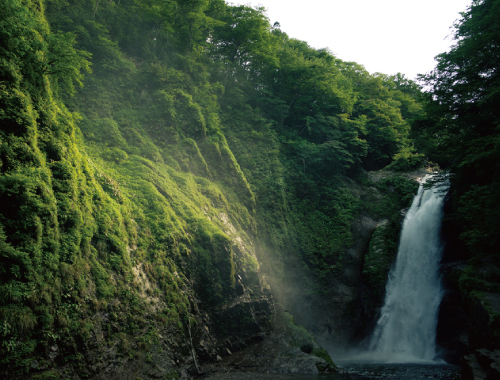 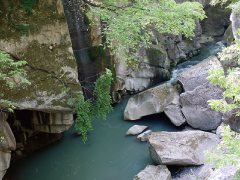 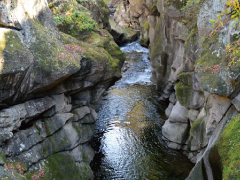 When you enter the entrance, the vigorous landscape of “Rairaikyo (gorge) spreads in front of you. 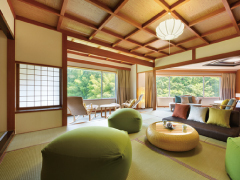 Please relax at our lounge while enjoying the view unique to Akiu. 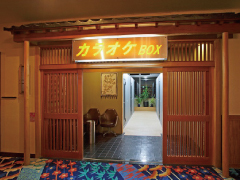 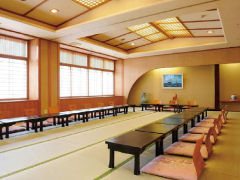 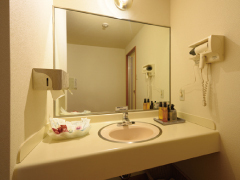 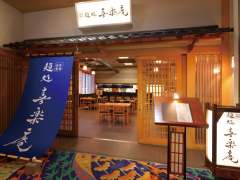 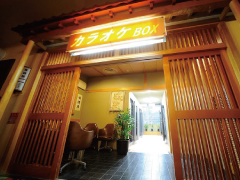 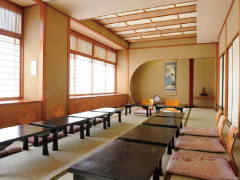 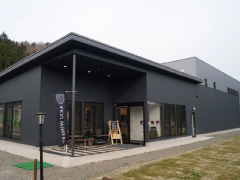 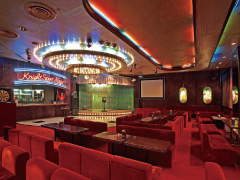 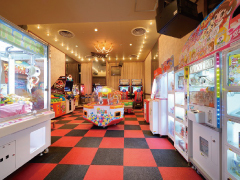 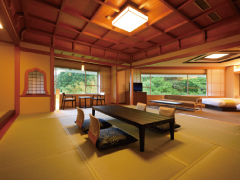 Inside the hotel, there are a number of facilities, such as “Jikaseimen Mendokoro Kirakuan” where they serve Soba noodles made with “Akiu Nojiri Choji Soba Flour”, private dining hall perfect for families and small groups, and a karaoke room suitable for couples and families. 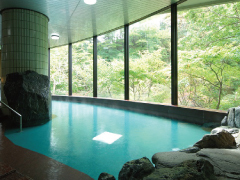 Please have a relaxing time at Akiu Grand Hotel. 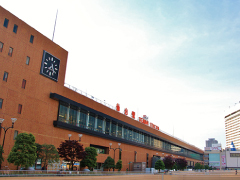 Free pickup bus departs everyday from Sendai Station East Entrance Bus Stop. 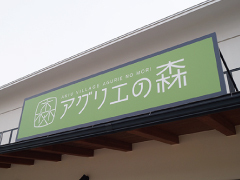 Copyright (C) KARAKAMI KANKOU CO.,LTD.All rights reserved.